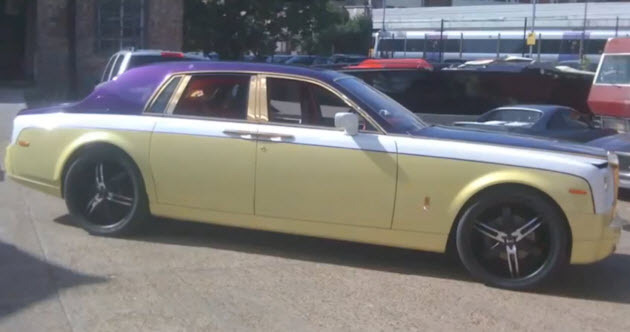 Rolls Royce Phantom is a top class automobile for the leisure motoring, but that doesn’t mean that money can buy taste even though Rolls Royce paints your RR in almost any color you dream off, but what if one is confused between the millions of colors so much that the owner asks for every color to be painted on his car. The varied use of colors can be seen throughout the vehicle from the exterior to the interior alongwith the wheels and grill gets new custom color. You be the judge yourself as ricing is not limited to Civics or Corollas.